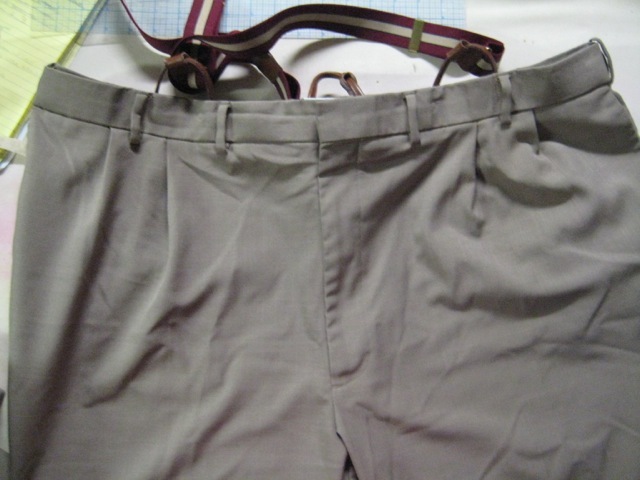 Nothing makes a pant look as fantastically olde-timey as a fall front. 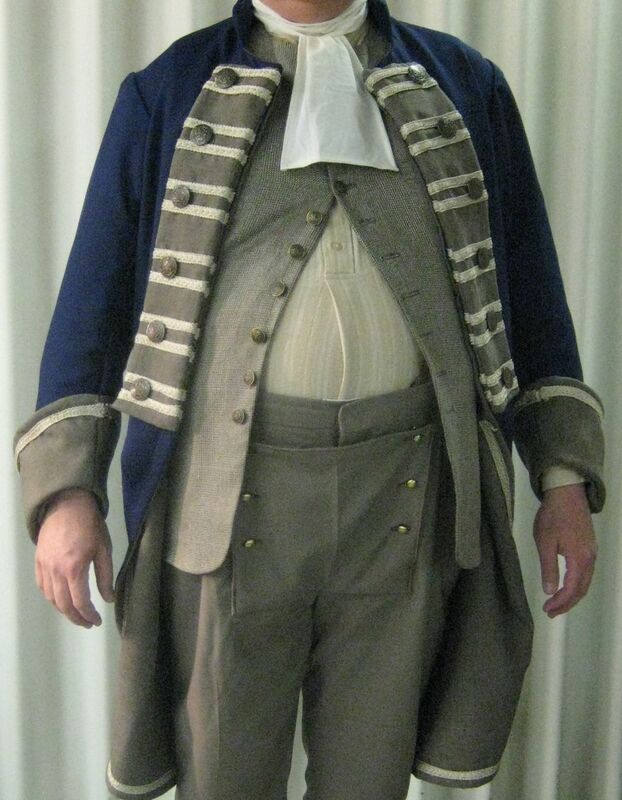 Unfortunately, a real fall front is a pain in the patouty to sew (trust me), and it’s not something that can be added in after the fact in any sort of historically accurate manner. 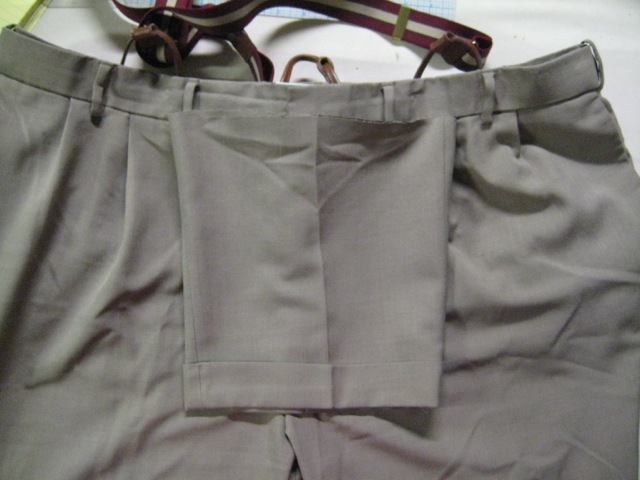 Fortunately, if you’re not 100% concerned about authenticity, it’s easy enough to add a mock fall to existing pants…. You'll need to make a rectangle (or slight trapezoid) of cloth for the fall. It goes from just below the zip up to the waist band. 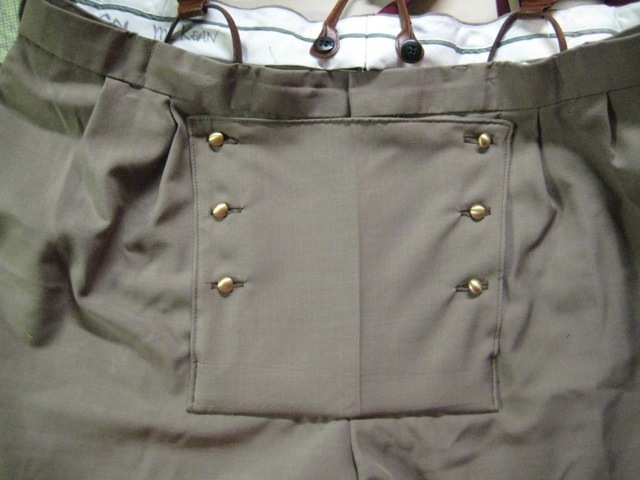 Finish the top edge of the fall and put buttonholes on both sides. Sew the fall in place facing downward on the pant (right side down). That sounds goofy, but you’re doing it so that the seam allowance at the bottom of the fall will be hidden. Flip the fall up, and mark button positions. (I just stick a pin through the end of the buttonhole.) 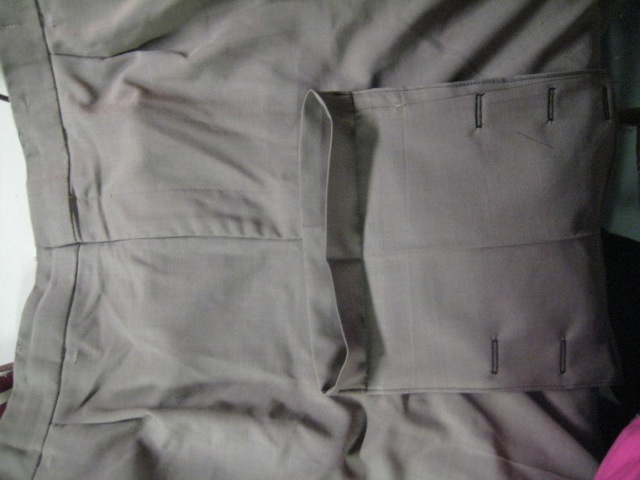 You might also sew the bottom sides of the fall up a little, so the seam allowance can't pop out. I did. Sew down the buttons, and life is grand. 1) Don’t use a pleated pant for this. I know it’s pretty obvious that I did in the demo, but try not to. It will look much closer to accurate of you don’t. 2) A mock fall over a normal zip seems to be a little less baffling for actors. 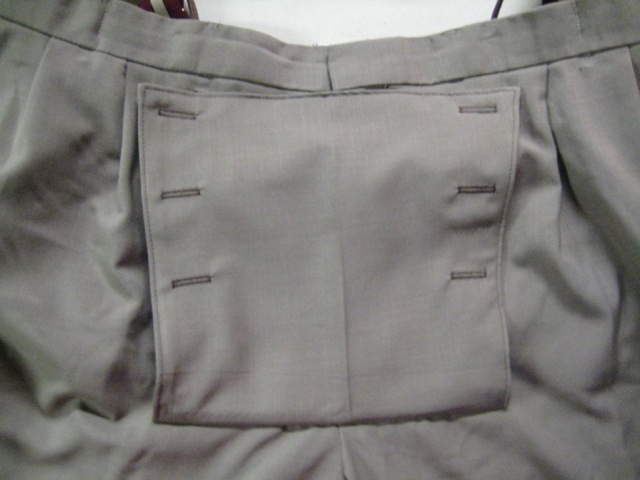 I have upon occasion tightened up a too loose buttonhole by whipstitching its ends. That is just plain brilliant. Definitely a “Why didn’t I think of that” moment. Thanks! Wow!!! Thanks so much for this! Thank you so much for this! I am having a Edwardian/ Steampunk wedding and I was looking for a pattern to make fallfront breeches when I stumbled upon this. You just made my life a whole lot easier and relieved a huge amount of stress. I will post pictures when they are done! Lol! I am so glad this helped! I wish you the best with your wedding and many happy years after it.